This strain’s reputation certainly preceded it. I heard of the potency and unparallelled effects of Do-Si-Dos long before we had a chance to stock it on our shelves. And one look at this strain’s frosty buds, thanks to the top-notch flower quality of Northwest Grown’s product, confirmed to me that this is a special variety, before I even got a chance to smoke it. 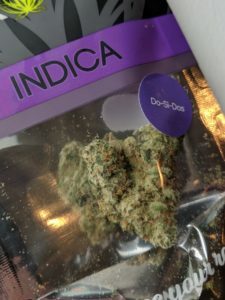 Once I did, my hopes and expectations were exceeded — this indica’s full-body high comes on early and strong, and it comes along with a significant mood boost and a creatively stimulating head high. Beware, it’s heavy — I wouldn’t smoke this more than a couple hours before bedtime — but its strength and effectiveness make this an unmissable strain. If you’ve been into our store, you probably know how much terpenes mean to us, and Linalool is one of the staff favorites. This sweet, calming terpene has anxiety-fighting properties, and shows up in other plants, most notably lavender. When Raven Grass’s beautiful Lavender Kush showed up, with a nice prominent terp profile heavy in linalool, I knew I’d be in for a calm indica experience. The aroma and flavor is heavenly and smells just like lavender, as you’d expect. I didn’t realize, though, just how nice and healthy it would make me feel; for an indica, this strain is remarkably clear-headed and won’t put you to sleep right away. That’s par for the course for Raven Grass — a company whose products, I like to say, are designed to make you a better person. 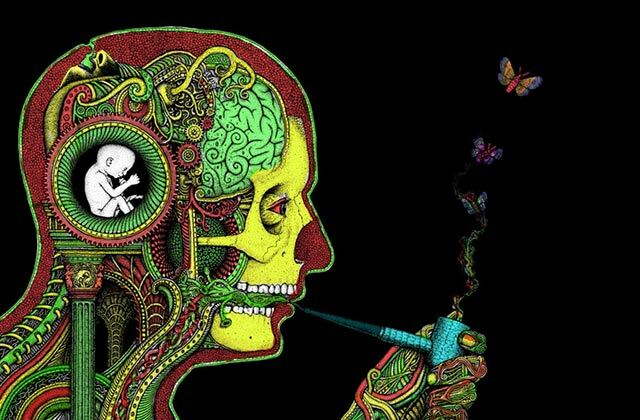 This infused joint is not to be taken lightly. Consisting of high quality flower and infused with concentrated oil and strain-specific kief, it packs a huge punch and is ideal to be shared among friends. (If you make my mistake and consume the whole thing by yourself, prepare to be non-functional for a long time!) 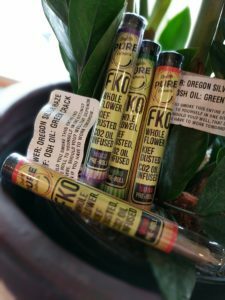 These FKOs (flower, kief, oil) are a full gram and come in indica, sativa and hybrid varieties. 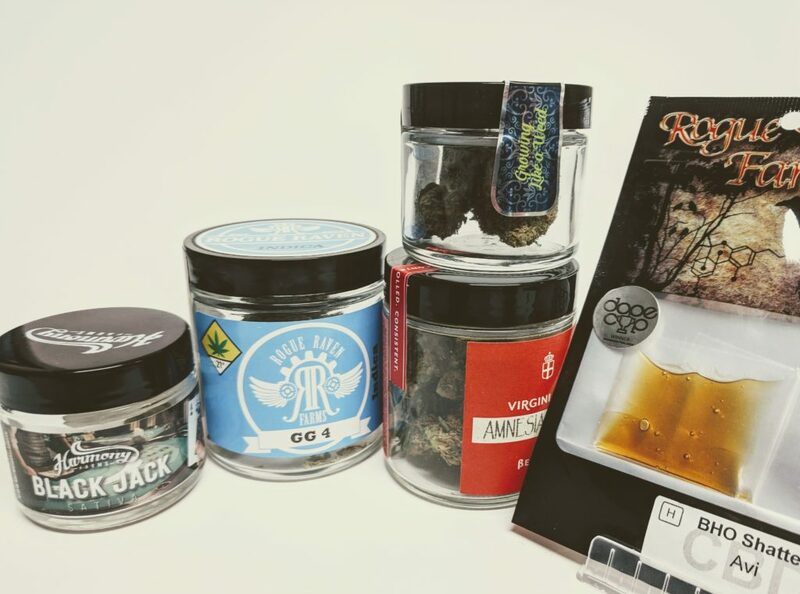 One of my favorite features of these is the large label displaying the exact strains used for each material. The sativa joint I smoked, for instance, contains Oregon Silver Haze flower and kief, and Green Crack oil. It burned smoothly and evenly, though I’d advise taking it slow. Rip this bad boy too hard and the oil might get sticky. Regardless, this is one of the best ways to get high — really high. I have a confession: I’ve ignored Dutch Treat in the past. It’s one of the most over-represented strains in the area; at Smoking Crow we have at least four or five different products in the Dutch Treat strain. 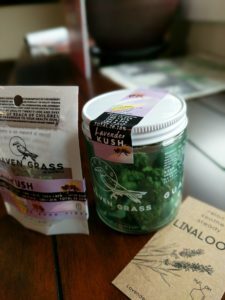 This week I became aware of my sin, and Lazy Bee’s Dutch Treat took me gently, laid me down, and taught me a lesson: don’t forget about Dutch Treat. I think this strain tends to be misunderstood because it’s so flexible. 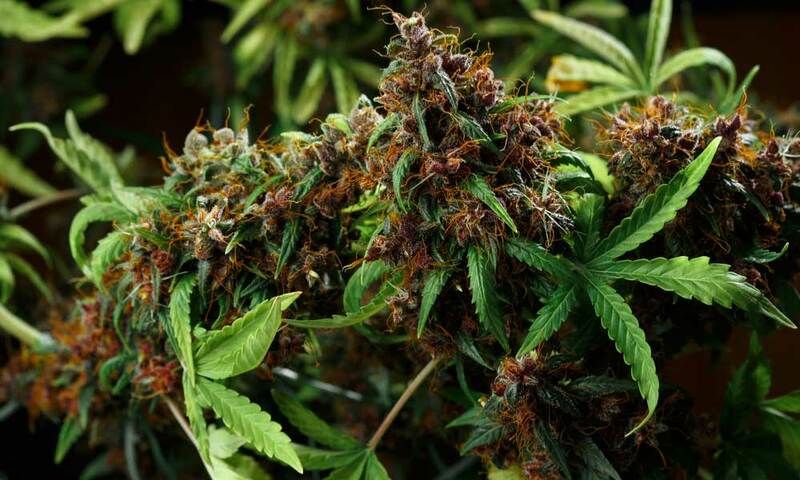 First of all, it has a relatively unique terpene profile, being one of the only well-known strains whose most dominant terp is Terpinolene. It smokes like a sativa sometimes, and like an indica sometimes. I’m sure there are many phenotypes out there with varying effects. 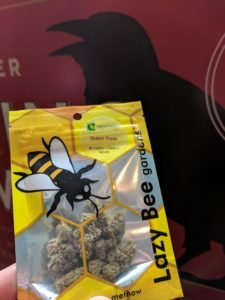 For me, Lazy Bee’s Dutch Treat is the ideal: an indica hybrid that helps with anxiety and depression, also offers a happy head high, and ultimately relaxes and soothes. Candyland is one of those strains that’s just hard not to like. It’s a sativa dominant hybrid that was bred from Granddaddy Purple and Platinum Girl Scout Cookies — solid genetics. It has a terpene profile that, despite its happy sativa-esque effects, bring wonderful relaxation and aromatherapy to the table, featuring Caryophyllene, Humulene and the aforementioned Linalool. 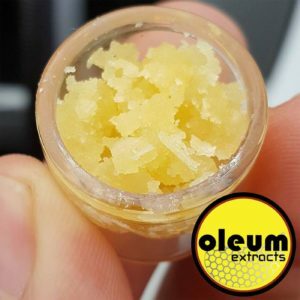 And, in the form of this beautiful Oleum honey crystal, it makes for a tasty, uplifting and powerful daytime strain. It’ll melt away the stress and promote a sense of fun and happiness. A lot of of what you say happens to be supprisingly appropriate and that makes me ponder the reason why I hadn’t looked at this in this light previously. This article really did switch the light on for me personally as far as this specific subject goes. Nevertheless at this time there is just one point I am not too cozy with so while I make an effort to reconcile that with the actual core idea of your issue, permit me see exactly what all the rest of your visitors have to say.Nicely done.